This year we prepared ourselves even better for the brand new Edition Series 2019! 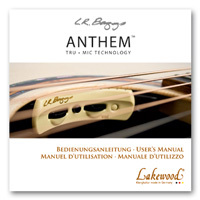 For being able to supply you next to all technical information about the new Edition Series 2019 also with a couple of very nice photographies, we got a 16 page brochure printed that you will soon find at your local dealer. Technical information can by the way be found much more conveniently on our web site, where you can compare easier and save PDFs for each model separately. Follow this link. You can download the brochure in a digital version as a PDF here. The Lakewood Handbook 2016 is valid throughout the year 2018! The Handbook 2016 will be up to date also in 2018! We worked hard again to have some nice surprises ready for you. 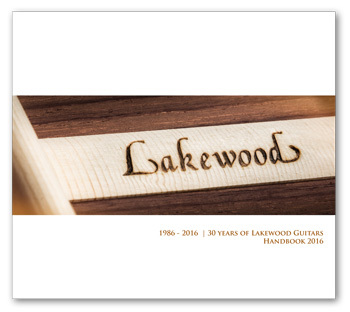 The Lakewoood Handbook is our "catalogue" that holds all information regarding serial models with their features as well as all Customshop options in a comprehensive way, which makes it a real reference book. Besides beautiful images you will find all the detail information you are perhaps looking for. 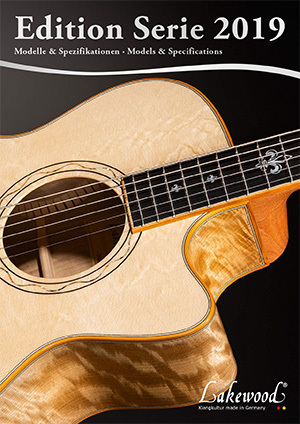 Furthermore, you will come upon the Lakewood Customshop with a vast diversity of available options that are illustrated by various beautiful sample pictures. Detailed background information on many of those options are also supplied as an aid to understand the matter. In celebration of our 30th anniversary we have also added some editorial sections that focus on the Lakewood history. On different pages you will find interesting and entertaining footage of the Lakewood past, of course, enhanced by many pictures. If you didn't manage to get a copy of the Lakewood Handbook at your local store, you have the chance to view it here online. You can either simply open it and/or save it to your computer as a PDF; you have it always on-hand that way.